How ‘Insights-as-a-service’ is growing based on big data? Big data represents a goldmine of opportunities for companies. To sell their products and services, companies need to get customer insights continuously and big data offers that. However, it is not easy to extract insights, given the investments needed. Insights-as-a-service solves this problem specifically, not to mention the values it adds. Insights-as-service is a software service or solution that delivers actionable insights. The services include not only insights but also a concrete plan to utilize the insights. The service is delivered just like any other SaaS product. It is hosted in the cloud and you need to buy subscriptions. Of course, Insights-as-a-service depends on other SaaS solutions and other sources for data and analytics. Large, medium-sized and small companies have been relying on this service because of various reasons. As already defined earlier in this article, Insights-as-a-service refers to cloud-based services that not only provide insights to business corporations but also concrete steps to leverage the insights to achieve business goals. Insights-as-a-service is fundamentally different from other SaaS offerings in the sense that other SaaS offerings offer insights and analytics while Insights-as-a-service offer action plans. However, Insights-as-a-service depends on other SaaS solutions for data and insights. Business benchmarking services which help corporations compare their businesses with that of their rivals or peers who have hired the services of the same SaaS vendor. Business process improvement services based on the usage of SaaS applications. For example, reduce the budget on search keywords by using the SEM application’s keyword search module. Improving business productivity by integrating syndicated data with client data and reducing client service request response time. Company data: This is the data stored by the company in the SaaS applications. Company data could encompass a wide range of data such as financial data and results, stocks, employee details, keyword performance, and business process data. Basically, the company decides the type of data it stores. Usage data: Usage data refers to the data captured during the usage of the SaaS applications. Whenever a module is accessed, used, configured or removed, the data is captured in a web-compatible format. For example, if a few fields in an application are frequently accessed, that constitutes an interesting insight. Syndicated data: This is the data collected from third party sources such as LinkedIn, Bloomberg, other open source applications and Facebook. When syndicated data is combined with the two types of data described above, it can result in some deep, relevant insights. What should not be missed is the correlation between the SaaS growth and that of the Insights as Service solutions. Both are directly proportional. 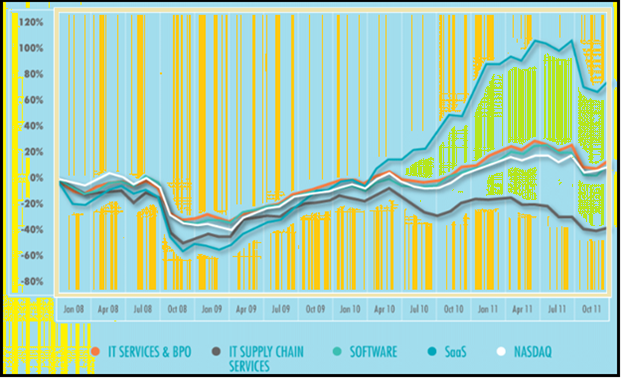 So, given the fact that SaaS is on the rise, expect an upsurge in the Insights as Service sector. The image below shows the growth statistics of SaaS. The image below shows the future of SaaS in various industries. Permission: There may be permission issues from certain companies depending on the confidentiality of data and data sharing policies. For Insights-as-a-service to succeed, companies need to provide access to their data to their SaaS and other cloud vendors. Data ownership: This remains a contentious issue as SaaS vendors and the companies are locked in a debate over the ownership of data. While the original data is owned by the companies, it remains to be decided whether the SaaS vendors can utilize the analytics and insights for their own purposes. Data privacy and security: SaaS vendors will have to guarantee the privacy and security of the data their clients are providing. Given the fact that SaaS vendors are increasingly required to host and process complex data, it is not an easy task. It takes data from a number of sources, as described earlier in this article. For example, 8thbridge combines the data from its customers with data from third-party sources such as Facebook, YouTube, Tumblr, Flick and Twitter usage. If required, the services employ domain experts in the entire process. For example, the solutions offered by Acteea leverages a lot from the industry-standard keyword bidding process. Other then industry-standard domain process, the service providers also employ a lot of best practices from the industry. For example, JBara embeds industry best practices in providing solutions for customer retention and acquisition. Data, insights and analytics and best practices combine to generate actionable insights for specific industries. These plans are specific and concrete which are intended to help companies achieve their business goals. The Action Generator, which is a key component of the Insights-as-a-service solutions, is used to generate a set of steps or actions that a business needs to take in order to reach its business goals. For example, the Action Generator of D’Bara, which gives solutions for customer acquisition and retention, generates its actions from the deviation-detection analysis. Many Insights-as-a-service solutions offer a user interface for the business users. The business users need user interface to view the data and analytics and derive conclusions and course of actions. It is a convenient tool for such users who do not have knowledge or skills in complex data. How has Insights-as-a-service been growing? For many corporations, investing in extracting actionable insights from data is an extremely costly proposition. They need to have their own infrastructure and resources for that. That is the main reason Insights-as-a-service is being seen as a timely solution by many. No wonder that the offerings have been growing. Here are some interesting data on the growth of Insights-as-a-service. Companies are directing 15% of their IT investments towards Insights-as-a-service and other cloud-based offerings. The investment is going to increase to 35% by 2021. 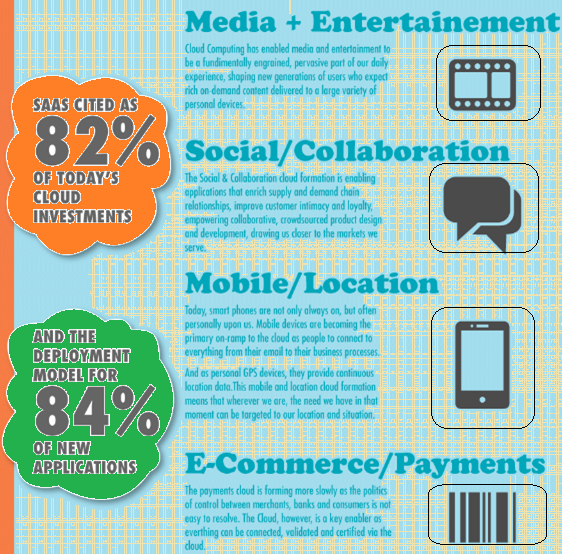 By 2016, 50% of the data of all organizations will be stored in the cloud. The market value of big data and Insights-as-a-service is expected to reach revenue of 17 million dollars in 2015 and 88 billion dollars by 2021. The big data-based services market, of which the Insights-as-a-service is a part, is expected to reach 30 billion dollars by 2021. Currently, it stands at 2.55 billion dollars. The industries that will be using the Insights-as-a-service and other SaaS solutions the most are business, finance, retail, media, and telecommunications. A number of companies are coming up to provide dedicated Insights-as-a-service solutions. Acteea, 9Lenses, Startup Genome Compass, Totango, JBara, Host Analytics, Dachis Group and 8thbridge are a few of these companies. Though Insights-as-a-service is filling the gap created by the lack of connectors who are experts at analyzing data and the investment constraints faced by companies. However, it is unfair to completely attribute the rise of Insights-as-a-service to the factors mentioned just now. Demand has been growing and quality services are surely one of the reasons. The future holds some interesting times as more data moves into the cloud and data complexity increases. The efficacy of Insights-as-a-service solutions will depend a lot on how the SaaS solutions are able to host and analyze the data provided by clients. ← Can big data and predictive analytics prevent climate changes?